It is that time of the year again. Your little one is turning a year older, and we bet they could not be more excited. More than just another day, a birthday party for a child is a big deal, especially for young children. Oh yes, for kids, their birthday is the most exciting day of the year, which is why it is up to you to make their party as memorable as it should be. Unfortunately, kids’ birthday parties can be taxing for any parent. You could order their favourite cake, fill the table with colourful candy and crisps, hire a jungle gym and bouncing castle, and have kids running around the garden screaming and shouting for a couple of hours, but is that how you really want to celebrate your little one’s milestone this year? From the planning to the cleaning, the reality is that kids’ parties can be backbreaking, which is exactly why party venues for kids exist. 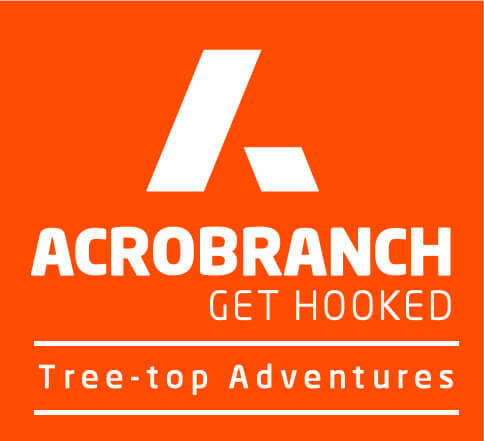 If you are looking for a party venue for kids that will ensure your child is the talk of the playground for weeks, then you need to have their party at an Acrobranch Adventure Park near you. Pretoria North – situated at Musaiek on Honingnestkrans Street, our activity park offers two complete obstacle kids’ courses, two large obstacle courses for adults and teenagers, and the longest zip line in Gauteng at 300 m! Pretoria East – situated at Rosemary Hill, just ten minutes’ drive from Pretoria East, our activity park offers two complete kids’ obstacle courses, two large obstacle courses for adults, and an awesome Acro-twigs bungy for small children, age 3-6. Centurion – situated at the Big Red Barn in the Sunlawns Estate, our activity park offers two kids’ obstacle courses and two large obstacle courses for adults and teenagers. Johannesburg – situated in the James & Ethel Gray Park in Melrose, our activity park offers two obstacle courses for kids, two for adults and teenagers, and four zip lines, including the 200-m “Big Zip” with over 80 obstacles. Linksfield in Johannesburg – situated in Huddle Golf and Recreation Park, our activity park offers two complete obstacle courses for kids and two large ones for adults. Cape Town – situated in the Constantia Nek forest, our activity park offers two kids courses, and one obstacles course for adults and teenagers. 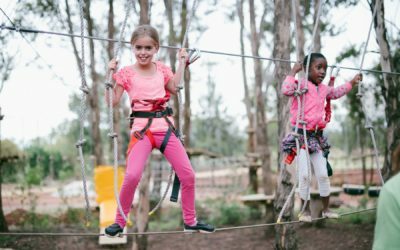 Garden Route – situated in Timberlake Organic Village between George and Sedgefield, our activity park offers one kids’ course and two obstacle courses for adults and teenagers. Safe, exciting, exhilarating, and super-fun, kids will have the day of their lives as they champion Tarzan swings, balancing beams, tightropes, zigzags, lily pads, barrels, rope bridges, and many other obstacles to get their hearts racing with excitement and anticipation. Let your child experience the excitement and adventure of ziplining and make your booking at an Acrobranch party venue near you today.